Physical activity and nutrition are extremely important to your overall health and you’ve worked really hard to get to where you are. Here at REfocused Wellness, we understand how difficult it is to find products that are in alignment with you complex health goals. After years of our own trial and error, we are happy to have found a company that we proudly share open and honestly. Offering a wide variety of environmentally friendly products, whole food & non-synthetic supplements, and toxin free beauty aids and cleaners, Shaklee® has become a staple within our home. Mom’s best trick Organic greens has been by far the BEST find thus far. Our 5 year old is starting to “choose” what foods she enjoys and those that she does not. Organic greens is easy to slip in to everyday kid friendly foods (adults indulge as well) adding the equivalent of one serving of Kale, spinach and broccoli without the fuss. Brownies anyone?? Add it to your morning shake for additional phytonutrients, minerals and vitamins. Energy Chews Does your workout need a little pick me up? Are you up before the sun and need a push? Or maybe you waiting until after work and you feeling like you dragging. This is adult candy and is just the pep that you need to get you through you much needed workout. Don’t forget the mid-day slouch, these work great for that as well, changing your mood and pushing you through the rest of the day! Hormone Balance Need a pick me up around that time of month? Does your libido need a boost. GLA is a blend of omega-6 fatty acid, sunflower seed oil, and vitamin E that will help balance you out in the areas you need it most. Mom and Dad Vitamins we used to have multiple bottles of vitamins on the counter. Now they all come in one easily package strip. We also know the quality of the supplement we are getting which is essential. Children’s Daily Vitamin For ages 4-11, no chalky residue and wholesome ingredients without the artificial sugar. Mom win! Allergy Savior Playing a large role in inflammation reduction and allergy triggers. Alfalfa has aided in the ability to remove OTC antihistamines from our daily regime even when allergies are at their worst! All Purpose Cleaner This is our BIG go to! Because of its makeup and limited safe ingredients we have a bottle on this on the counter in the kitchen, in the bathroom and upstairs for any potential spills. With two super curious littles in the house safety is key — cost is just as important. Basic H is super concentrated, assuring it will go a long way! Ours has! Magic Eraser — Scour off. Ever have marker, pen, or surprises on your walls? Ring around the tub from the metal in your water? YOU NEED THIS! I didn’t believe it when I first tried it. My daughter wrote on her wall with pen! No kidding, it came off! A mom miracle. It also functions as the best glass stove top cleaner I have ever used. 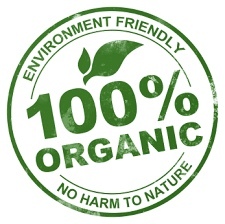 Being chemical free is simply and added bonus! There are so many products we love so much in our house the list could go on and on, Dishwasher Detergent , BB SPF cream , Stress Relief.